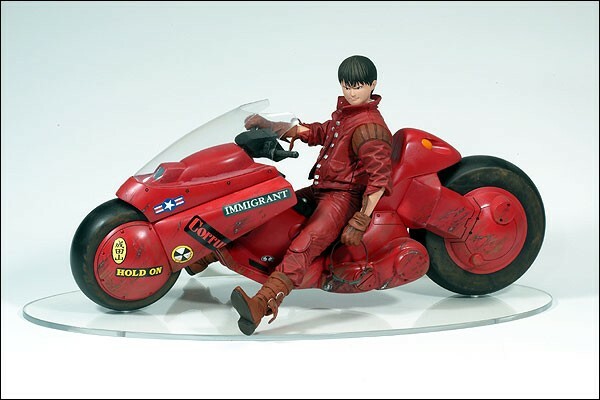 Kaneda on bike (boxed set) from Akira stands 6 inches tall with 10 points of articulation (neck, shoulders, waist, hips and knees). The included motorcycle is 9 1/2 inches in length. 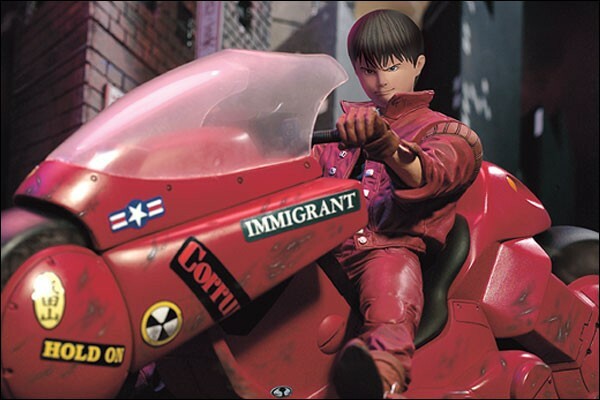 Kaneda can be posed on the bike or off and also includes removable goggles.